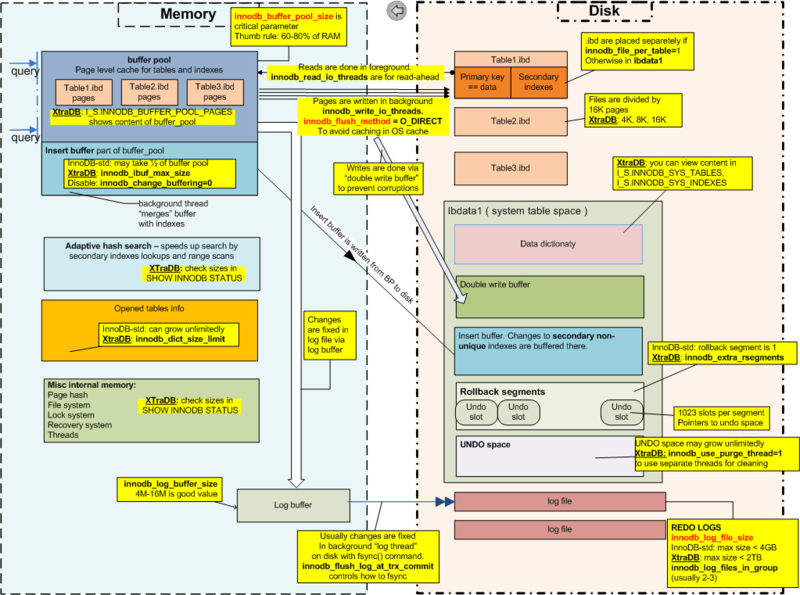 InnoDB is a storage engine for MySQL. MySQL 5.5 and later use it by default. It provides the standard ACID-compliant transaction features, along with foreign key support (Declarative Referential Integrity). It is included as standard in most binaries distributed by MySQL AB, the exception being some OEM versions. InnoDB became a product of Oracle Corporation after its acquisition of Innobase Oy in October 2005. The software is dual licensed; it is distributed under the GNU General Public License, but can also be licensed to parties wishing to combine InnoDB in proprietary software. MariaDB and Percona Server use a fork of InnoDB called XtraDB by default. XtraDB is maintained by Percona. Oracle InnoDB's changes are regularly imported into XtraDB, and some bug fixes and extra features are added. Add this entry innodb_use_sys_malloc = 0 into the my.cnf and restarted the MySQL Server the error was gone. We can get more info about The InnoDB Storage Engine. ← Slove MySQL Plugin 'FEDERATED' is disabled.